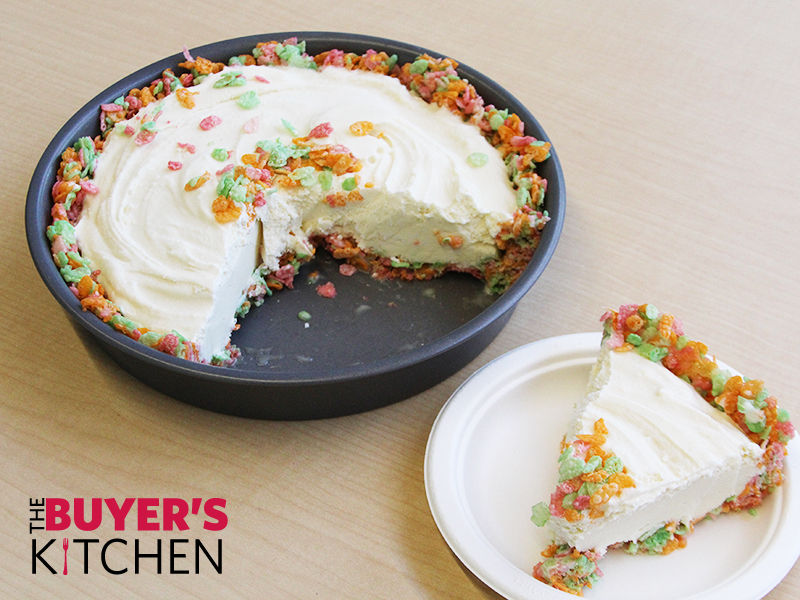 In honor of our 20% off Cereal Sale (October 4-11, 2016), we made this easy, no-bake ice cream pie, with a crispy, crunchy cereal crust. This recipe is great if you don’t have a lot of time, or love ice cream, Rice Krispie treats, or all of the above! Note: any crispy, crunch cereal will work for this. 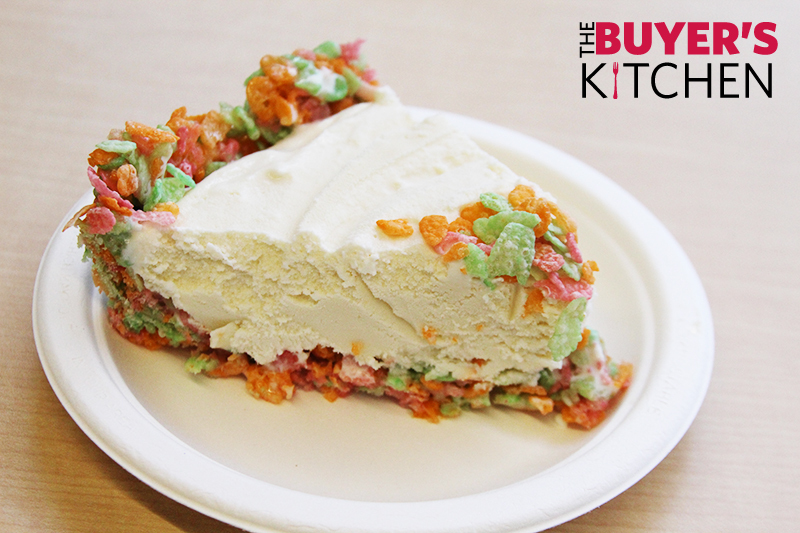 We used Post Rainbow Sherbet Ice Cream Pebbles for flavor and crunch, but you could also use plain Rice Krispies, Cocoa Pebbles, Cornflakes, or any other cereal that’s been crunched up. Melt butter in medium saucepan. Add marshmallows; cook and stir on low heat until marshmallows are completely melted. Remove from heat; immediately stir in 2-1/4 cups of the cereal. Firmly press cereal mixture onto bottom and up side of 9-inch pie plate sprayed with cooking spray. Cool. Spread ice cream into crust; cover. Freeze 2 hours or until firm. Remove pie from freezer about 10 min. before serving. Let stand at room temperature to soften slightly. 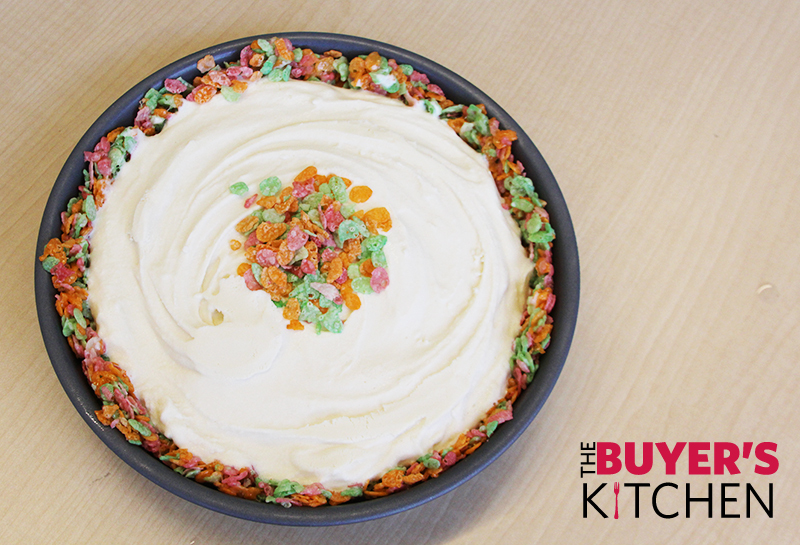 Sprinkle with the remaining 1/2 cup cereal before cutting into eight wedges to serve. 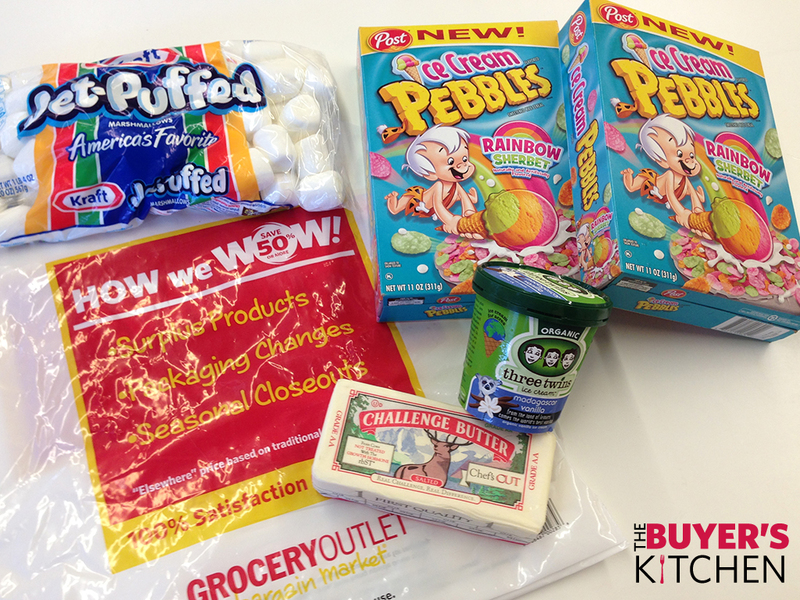 Post Ice Cream Pebbles – Our Price: 99¢ – with 20% off Cereal Sale: 79¢!